Wow that was another day well spent at one of the UK’s biggest classic car shows. Two days later we are still buzzing from the hype that was the Practical Classics ‘Restoration and Classic Car Show’ in Birmingham, not least as we got a (hopefully, more than) once in a lifetime chance of getting close to one of our biggest inspirations – no less than the Wheeler Dealers, Edd China and Mike Brewer, themselves! Here’s a brief summary and picture diary of our most epic memories and adventures! First things first. Here it is. Our snapshot from our Mechanic London meets Wheeler Dealers photo shoot. (We love our Facebook friend’s comment: “Three legends”!) I know we look a bit star struck, but hey, rightly so! It was an enormous pleasure to get close to even more ‘car stars’ at the celebrity panel later on, where amongst others Wheeler Dealers Edd and Mike were joined by ‘For the love of cars’ presenter Ant Anstead. Not just very educational (which is why we attend these shows and watch those programmes) and packed with tips from the real pros, but truly fun as well. It wasn’t just the stars that got our attention though, but the cars of the stars (Simon Templar, The Saint, 007) on show were well impressive, too. As always at these shows, there are too many cars, engines, parts and tools to mention or photograph them all, so here is just a small selection of classic car goodies that caught our eyes. As French car lovers and having developed a wealth of knowledge and expertise over the years, we spent quite a bit of time admiring the classic Peugeots, Renaults and Citroens. Last but not least, one of our show highlights had to be … you guessed right: the Volvos! I know that with our workshop extension in progress at the same time, the restoration of our Volvo P1800 is coming along only slowly, but don’t despair as it is all work in progress! Don’t forget good things come to those who wait! For more information about Brent Autos, or to book your car – modern day or classic – in for an MOT or some TLC please contact us today or visit our main website at www.brent-autos.co.uk. Spring is finally in the air and here at Brent Autos we are still so thrilled to celebrate our 25 years in business this year, so we thought it’s time to share the joy and spread some love by putting some special offers out there for our customers. So here we go. While stocks last, we’ll be offering oil changes from only £60 and because 25 years is a lot to be happy about, we also have a special offer to supply and fit brake pads and discs from only £85. For more information on our diagnostic and garage services, please contact us today or visit our main website at www.brent-autos.co.uk. Welcome to a new mechanic chapter! Love your classic car? Get it summer ready now! Thinking of importing a car from Europe? We can help! 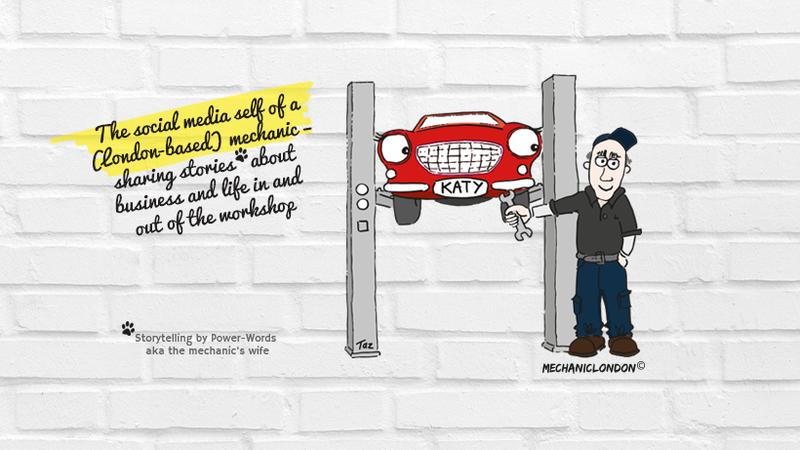 All you need is love to maintain your car … NO knowledge required!